How The Underbanked Handle Finances in the U.S.
Are check cashing stores and payday loan shops part of your weekly routine, or do you just pass by those establishments as you go about your life? If you’re among the underbanked, you probably rely on retail outlets for financial services instead of using banks and credit unions. What Does it Mean to Be Underbanked? Underbanked households lack access to safe and affordable financial services. They may have a checking or savings account, but they rely on alternative financial services (AFS) to some degree. For example, an underbanked consumer might use AFS to make payments or borrow money. Unbanked households do not have a checking or savings account with a bank or credit union. Underbanked households have bank accounts, but they also use AFS because their banking relationships do not fully meet their needs. Money orders: Individuals purchase check-like documents to make payments. Check cashing services: Workers cash paychecks at retail establishment instead of using a bank and depositing the funds. International remittances: Workers and buyers use non-bank money transfer services to move money overseas. Refund anticipation loans: Taxpayers who expect a refund get access to that money immediately. Although regulations have curtailed the worst abuses, these loans can still cause problems. Rent-to-own services: Buyers arrange financing for furniture and appliances directly with a retailer under terms that might cost more than a standard installment loan. Pawn shop loans: Individuals bring valuables to a local pawn shop for temporary cash. If they cannot repay the loan, the pawn shop may sell the items. Auto title loans: Vehicle owners use their cars as collateral to borrow, but this method of financing can get expensive. The underbanked have a hard time getting ahead financially because the services lack the benefits of mainstream financial services providers. In some cases, AFS are more expensive. Transaction fees: Banks aren’t always cheap. But it’s possible to get a free checking account with free online bill payment and remote check deposit, especially at local credit unions. Online savings accounts also tend to be fee-free. But other service providers typically charge a fee for every transaction. For example, buying money orders may cost $1 or more every time you need one. But writing a check or setting up a payment through your bank account may be free. The same is true for cashing a check at a check cashing store, which can cost several dollars or a small percentage of the check amount—and you can’t deposit the funds for safekeeping. Consumer protection: Bank and credit union accounts benefit from several consumer protection laws. For example, funds in federally insured accounts are protected against bank failures, but other services might put your money at risk. What’s more, regulators also limit lending and collection on debts, while AFS may get away with less consumer-friendly rates, fees, and behaviors. Time and energy: In addition to paying more for services, the underbanked work harder to conduct business. They may need to physically visit a retail store to cash a check, buy a money order, or send funds overseas. That means traveling to the location during business hours, standing in line, and paying a fee for almost every payment they make or receive. Online banking and direct deposit are significantly easier. Reduced access to mainstream products: It’s hard for the underbanked to start using mainstream financial products. With AFS, they might not be building credit, and it’s harder to get approved for a mortgage when you don’t have any bank statements to provide lenders. Limited foundation-building: By living without bank accounts, the underbanked have significant challenges working for a secure future. They may lack tools to build emergency funds, pay down debt, and save for long-term goals like retirement, education, or a down payment. According to the FDIC National Survey of Unbanked and Underbanked Households, there were 9 million unbanked households in the U.S. in 2015 (the latest data available). Another 19.9 million households are underbanked, accounting for over 66.7 million adults. So, who makes up that group? Unbanked and underbanked groups follow familiar patterns of economic inequality. Representation is greater “among the following groups: lower-income households, less-educated households, younger households, black and Hispanic households, and working-age disabled households,” according to the FDIC. In the overall population, 19.9 percent of households are underbanked. Those with incomes below $75,000 have higher rates, while only 13.4 percent of households above $75,000 in income are underbanked. Also, 49.7 percent of households categorized as black and 45.5 percent of Hispanic households were unbanked or underbanked in 2015. By comparison, 18.7 percent of white households were in those categories. Not enough money: With limited funds, it can be expensive to use a bank account. Some may believe it’s not worth it, even if they can meet account minimums. Don’t trust banks: Individuals may dislike working with banks due to bad publicity or bad experiences in the past. Surprise fees are not good for repeat business. Fees too high: Customers must contend with monthly service charges, overdraft fees, and miscellaneous charges for one-off transactions. Other reasons: The underbanked cite a variety of other causes. Some can’t open accounts because they lack documentation and identification to do so. Others avoid banks and credit unions because of the perception that those institutions aren’t interested in serving households that aren’t rich. Banks and credit unions can profitably serve unbanked and underbanked households. Especially with technology, an accommodative regulatory environment, and some creativity, financial institutions can improve the well-being of struggling consumers. Technology: Technology brings down the costs of doing business and makes it easier to serve a large number of customers who generate small profits. Financial inclusion efforts have already shown success in this area, and startups continue to innovate as open banking evolves. Alternative credit scoring: The traditional FICO credit score evaluates your borrowing history, but some consumers have never borrowed. Still, they have been paying rent and utility bills faithfully, and that can signal to lenders that these consumers are likely to repay loans. While alternative credit approvals gain momentum, homebuyers can already use strategies like manual underwriting to get a mortgage. ITIN lending: The need for a Social Security Number is a hurdle for noncitizen borrowers. Loans based on an individual taxpayer identification number (ITIN) can fill the gap, although individuals and institutions are hesitant to use these products. Expanded loan offerings: Banks and credit unions can offer new products to appeal to underbanked communities, and they have already experimented with new approaches. For example, low-risk, small-dollar loans might not require the same underwriting efforts as bigger loans. 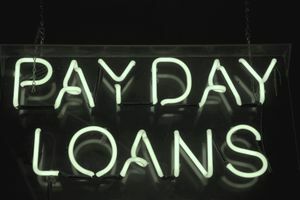 Banks can also move into payday loan alternatives, providing customers with lower-cost installment loans. Financial education: Most people never learn about personal finance in school. In the adult world, they’re left to learn from their mistakes or model the behavior of a successful, well-informed network. By educating consumers on the basics of compound interest, credit scores, and budgeting, underbanked households may be able to get on solid financial ground. Ultimately, households of all types need access to affordable financial services. Transparency also helps: If customers get stung by “gotcha” fees, they’re going to steer clear of mainstream banks and credit unions. Other service providers might end up costing more, but at least they clearly explain fees (in some cases).